Yellowstone Pond, 2012. Wikicommons/runt35. Some rights reserved.When I was 15 years old, I learned that chlorofluorocarbons (CFCs) from sprays such as shaving cream to pesticides could lead to “…the possibility of end to life on earth”. After I read that article, the world seemed smaller and humanity larger. Not believing that spray cans could do so much damage, Rowland and Molina turned to other experts to check their work, thinking they must have made a mathematical error. They hadn’t. Instead, impending harm to the ozone layer was confirmed by others, including Paul Crutzen . Their figures showed that the dangers of increased solar radiation would lead to an increase of 40,000 skin cancer cases in the US by 2050 (real dangers would turn out to be significantly higher ), but more significantly, their calculations intimated that stratospheric temperatures might be altered enough to cause changes in global weather patterns. A National Academy of Sciences special panel then recommended an immediate halt to the purchase of aerosol sprays. The panel recommendations were used by the Natural Resources Defense Council to petition the Consumer Product Safety Commission to demand a ban on CFC-propelled sprays. But, not surprisingly, the businesses producing and using CFCs were not idle. As The New Yorker article revealed, they attempted to counter the scientists’ discoveries by suggesting that their conclusions were not real ­­– that CFCs were not truly threatening the ozone layer. However, in those days, our government demanded that the burden of proof be on the CFC-using businesses to show that their product was safe, not the scientists to show that it wasn’t [3,4]. They required that if manufacturers did not demonstrate that CFCs were safe within two years, CFCs would be banned. The Environmental Protection Agency was then tasked with determining what a safe level of CFC production would be, if it existed, and given the chops to enforce it. In less than a year, the scientific community converged to call out the dangers to the future of our planet caused by spray cans, and our government acted. By 1976, nonessential use of CFCs in aerosol cans was prohibited, and by 1978, cans with CFC propellants were banned in the US . In 1987, the rest of the world agreed: United Nations members signed “The Montreal Protocol on Substances that Deplete the Ozone Layer”, which was designed to protect our atmosphere. Rowland, Molina, and Crutzen went on to win the 1995 Nobel Prize in Chemistry. They were planetary heroes. It would be many years until I realized how important this 1975 article and the scientists behind it were to my intellectual development, and how it made me see the world in a new way. Until then, I had thought of Earth, with wildness thriving far from people, as vast and unexplored – a living planet possessing powerful, poorly understood forces that could wipe humanity’s imprints clean in an instant. But the article, even more than NASA’s lunar program with the voices of astronauts speaking to us Earthlings below, inspired me to zoom out and see our planet as tiny – fragile, even. I went to college and eventually graduate school, studying a combination of fields intended to satisfy my understanding of human-environment interactions through time (including anthropology, biology, climatology, and geology) and was hired as a professor at Stanford University, where one of my departmental colleagues, Steve Schneider, became a mentor and a good friend. At the same time Rowland and Molina were working on CFCs, Steve had been conducting his own atmospheric calculations about the impacts of greenhouse gases. He would become a science champion who described to the world the dangers of “global warming” , served as an advisor to many presidents, and modeled life as a citizen-scientist who worked tirelessly to present his highly complex research in a way the public could understand. It was during a scientific celebration honoring Steve’s 60th birthday that I finally met Sherwood Rowland and was able to tell him what his work had meant to me. My research at that time focused on the paleoecological history of Yellowstone National Park using fossil and modern animals to understand the role that climate plays on their ecology and evolution [6,7]. Although my work was targeted at understanding past climate events such as the Little Ice Age and the Medieval Warm Period (now Medieval Climate Anomaly), I also worked to predict the harbingers of future climatic change. What signs would appear in protected areas? Would they mimic the changes I documented from the fossil record or would they be different? 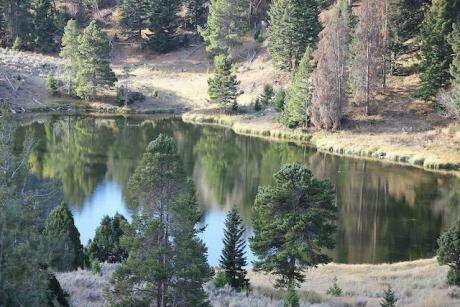 After decades of working in Yellowstone, I thought I could see changes that might be answers. The small ponds that dot the northern part of the park were smaller and drying up earlier than when I first arrived in the park in 1982. Some no longer contained water, and I noticed fewer birds were nesting in the riparian vegetation around the ponds. A beaver dam in Yellowstone National Park, viewed from the Beaver Ponds Trail, 2005. Wikicommons/Richard Wang. Some rights reserved.So, in 2008, my graduate student and I repeated a 1993 study, looking at weather data, amphibian diversity, and geomorphic evidence from 49 ponds . What we found astounded me. As the climate warmed, we documented fewer permanent ponds, and ephemeral ponds that dried up earlier or never appeared at all, leaving fewer suitable habitats for amphibians. As a result, across northern Yellowstone there were significantly fewer populations of all common amphibian species – in some cases, they were reduced by half – and all ponds experienced a reduction in the number of species they harbored. Here – in the world’s first national park, theoretically protected from outside activities –was evidence of the reach of humans that I could observe with my own eyes. Climate change was affecting habitats even in wilderness, supposedly untouched by human hands, and loss of those habitats was impacting the diversity and future of species. Fast forward to the present. Today planetary emergencies abound – biodiversity loss, climate change, sea-level rise, population increase, migration, resource limitation, and pollution . Even as the impacts of human-caused climate change become clearer and clearer and scarier and scarier, those who govern our country are not responding. In fact, quite the opposite – at the national level, there is active dismantling and discrediting of the science that substantiates environmental problems and solutions. This troubles me because that article I read over 40 years ago still inspires me. I learned that the earth was small and fragile but also that science, when combined with a responsive public and an action-driven government, can drive rapid action to protect this planet. The irony is hard to miss – the mantra these days is “to make America great again.” But a key feature of those bygone days was listening to the lessons that science taught and acting upon them to make a better planet. Today, it is the trepidation that even though we know, we might not act. And that makes me very worried. Molina MJ, Rowland FS. Stratospheric sink for chlorofluoromethanes: chlorine atom-catalysed destruction of ozone. 1974; Nature 249: 810–812. Crutzen PJ. The influence of nitrogen oxides on the atmospheric ozone content; 1970. Quart. J. R. Met. Soc. 96: 320–325. Parson EA. Protecting the Ozone Layer: Science and Strategy; 2003. Oxford University Press, New York, 377 pp. Morrisette PM. 1989. The evolution of policy responses to stratospheric ozone depletion. Natural Resources Journal 29: 793–820. Schneider SH. Global Warming: Are we entering the greenhouse century? 1989. Sierra Club Books, 317 pp. Hadly EA. Influence of Late Holocene climate on northern Rocky Mountain mammals; 1996. Quaternary Research 46: 298–310. McMenamin SK, Hadly EA, Wright CK. 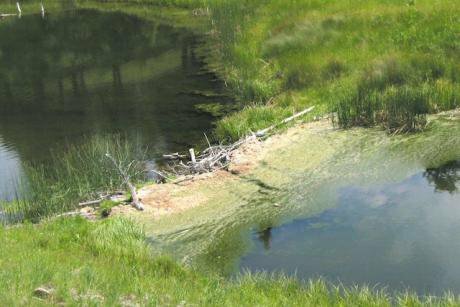 Climatic change and wetland desiccation cause amphibian decline in Yellowstone National Park; 2008. Proceedings of the National Academy of Sciences 105: 16988–16993. Barnosky AD, Hadly EA. Tipping Point for Planet Earth: How Close Are We to the Edge? 2016. Thomas Dunne Books, St. Martin’s Press, New York, 272 pp. The original version of this article was published as Hadly EA (2018) ‘Making America great again requires acting on scientific knowledge’ in PLoS Biol 16(2): e2004337 on February 5, 2018.